Without a strong labor movement, there is little hope for socialism—let alone a more humane capitalism. Neither a “red diaper” nor a “blue-collar” baby, I came circuitously to be one of In These Times’ original staff writers, covering labor. I grew up on a farm in western Illinois, where my youthful models of alternatives to capitalism owed less to Marx—whom I didn’t seriously study until graduate school—and more to the collective work of putting up hay with neighboring farmers and the cooperative traditions of the farm supply company my father managed. My first, minor experience of working-class struggle came in high school, on the grueling job of pulling tassels off seed corn. I led a walkout of fellow workers who shared my resistance to slogging through a muddy field rather than waiting for the ground to dry. We won nothing, but we felt good. As an early ’60s student “radical” I did win some victories in the modest realm of campus politics—and also a week-long expulsion for publishing an “alternative” newspaper. That led to my first full-time job after college, working for Newsweek in Los Angeles. I had the good fortune to cover the beginnings of the United Farm Workers’ organizing drive under Cesar Chavez, and learned important lessons about solidarity, persistence and the flaws of even labor movement saints. A few years later, I entered graduate school in anthropology at the University of Chicago. Inspired by Marx to see work as central to the creation of human culture, I did fieldwork for my dissertation not in the usual exotic locales but in eastern Ohio, among the young workers engaged in high-profile conflicts with General Motors at a new factory in Lordstown. Contrary to popular belief, workers there were even more interested in control over their work than in increasing their pay. 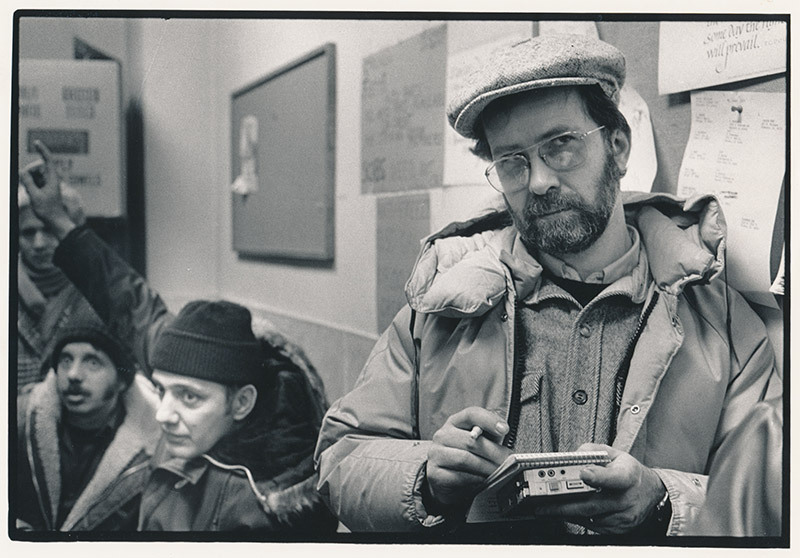 In These Times founding editor Jim Weinstein, whom I had known through the New American Movement, invited me to join the magazine’s staff in order to offer strong labor coverage, as most past socialist publications had done, but at a time when mainstream journalism was beginning to ignore unions. Weinstein saw workers as having clear reason to challenge capitalist priorities and the power to do so, if organized, by virtue of their numbers and their vital role in the economy. 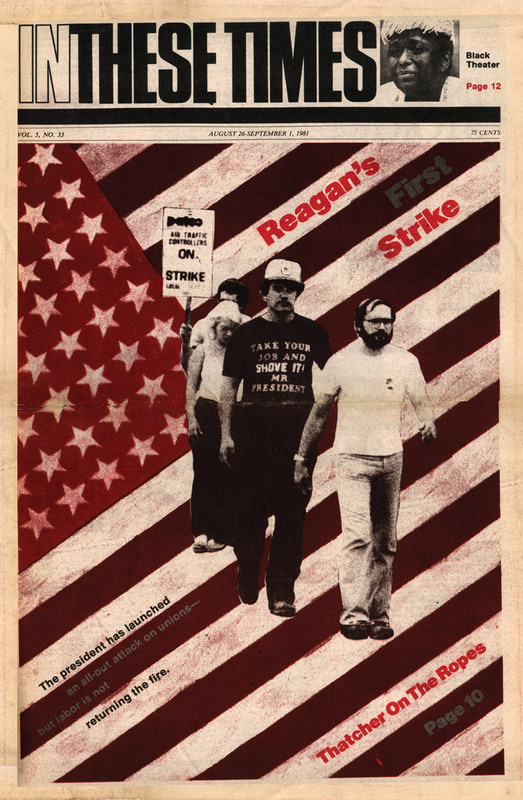 David Moberg has covered the labor movement for In These Times from its debute issue in 1976. Yet by the late 1970s, the argument that unions—or even the working class—formed the core of the socialist Left faced increasing skepticism from leftists who saw civil rights, women’s rights or Third World guerrillas as the heart of the movement. And many unions were slow to embrace the new movements. Most had grown complacent and less radical, partly as a result of their own successes, partly because many white unionists were slow to accept people of color as their equals and comrades. That is not to say people of color were absent from the labor struggles of the 1960s and 1970s: In industries where the pay was low and the unions were few—such as the public sector, healthcare, hospitality and farm work—African Americans, women and Latinos played key roles in organizing, if not always as elected leaders. Meanwhile, different factions of the Left had different priorities for labor. The splintered Socialist Party remnants emphasized influence on union officials, for example, while heirs of Trotskyism and anarcho-syndicalism disdained union officers and championed “rank-and-file” direct action. Weinstein’s mission for the magazine was to encourage thoughtful, non-doctrinaire analysis. In These Times’ first editorial argued that, if socialists were to make corporate capitalism “the great issue of our time” and to create a viable alternative, they had to embrace diversity—of the working class, of political organizations and of opinion. With that in mind, we decided to cover it all—union conventions, AFL-CIO executive council meetings, internal challenges to leaders, rank-and-file dissidents and insurgencies, contract talks, wildcat strikes, political action, policymaking and strategic developments in business that shaped the world of work. For example, in ITT’s inaugural issue, I discussed how taxicab company owners in Chicago were trying to break the drivers’ union by pushing cabbies to “be their own bosses” and lease the cars rather than work on commission­—a foretaste of Uber’s strategy to shift risk to drivers. In These Times has consistently supported greater democracy and efforts to educate and encourage union members to be leaders and activists. In its first few issues, In These Times ran several of my favorable articles about Ed Sadlowski’s insurgent campaign for president of the United Steel Workers. Over the decades, I have detailed efforts to bring democracy to the Teamsters Union and to eliminate corruption, including its 1997 strike against part-time work at UPS led by president Ron Carey, who owed his election in part to the long-term reform efforts of Teamsters for a Democratic Union. The major themes of the labor movement over the past four decades recur throughout our archives: not only the pursuit of union democracy but the arc of labor’s long decline, as it was slowly choked by corporate capitalism, and the strategies workers used to fight back. That led to profiles of some outstanding trade unionists. One was Tony Mazzocchi of the Oil, Chemical and Atomic Workers. He was in large part responsible for the landmark 1970 Occupational Safety and Health Act and organized the now-defunct Labor Party—an ambitious, if ultimately flawed, effort to build political clout for U.S. labor. Another was Jerry Tucker, an assistant regional United Auto Workers director who dared to challenge the powerful “leadership caucus” that has controlled the union since Walter Reuther’s day. A forceful critic of the survivalist strategy of concessions and cooperation with management in tough times, Tucker helped to revive old ways for workers to fight back, such as “running the plant backwards,” which meant following rules to the letter even if the results were inefficient or absurd. He built broad-based coalitions to defeat so-called right-to-work laws in Missouri and linked auto workers with farmers to physically block auctions of bankrupt farms. ITT covered globalization long before NAFTA, often through the lens of community resistance to plant closings. Much of that activity sprung from the area around Youngstown, Ohio. The enterprising and militant local steel union leaders Ed Mann and John Barbero worked with Staughton and Alice Lynd, a singular team with deep backgrounds in history and law. They came up with imaginative tactics, from bursting into country club retreats of the local elite to arguing in court that steel mills are community assets in which workers have implicit property rights. ITT also chronicled protests and strikes to fight back against the other forces hammering at labor, such as the relentless push for right-to-work laws (now on the books in half the states), increased use of lockouts and other union-busting strategies, and the exploitation of classifications (such as “contractor”) to make organizing more difficult. Those anti-labor forces largely prevailed, with the union share of the total workforce dropping by half—from 22.1 percent to 11.1 percent—between 1976 and 2015. The result of this decline is not just the loss of dues but the corollary loss of union power. Fighting the contemporary plagues of inequality and precarity relies not only on workplace action to raise wages and set standards, but also on workers’ political power. Even well-organized workers need government to stand as a countervailing weight to the superior power of capital. 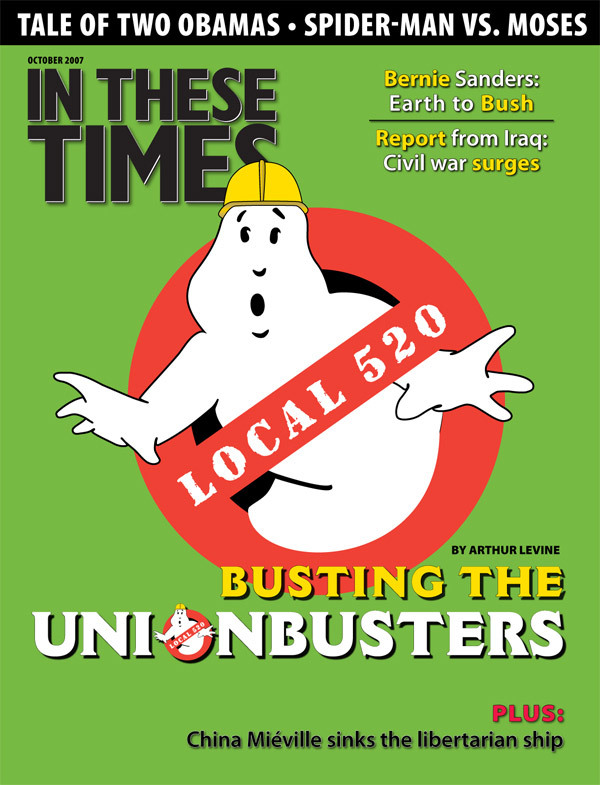 In their fight for growth, or at least survival, some unions and non-union worker organizations have shown imagination, but their efforts are too scattered. As ITT has reported, inspiring new organizing drives have arisen among domestic workers, fast-food workers, cab drivers, warehouse workers, car washers, port truckers, FedEx drivers and other marginal, unstable low-wage workers. The labor movement is also using new techniques of mobilizing public and worker pressure to raise regional or industry standards, such as the SEIU-backed Fight for $15’s campaign for “living wage” ordinances. Although there appears to be a decline in efforts to seek alternatives to plant or office closings, the 2008 occupation of Republic Windows and Doors in Chicago (and its reopening as a worker cooperative) inspired many labor supporters. One promising approach to expanding public support for unions is “bargaining for the common good,” a strategy most easily adopted by public employee unions. The Chicago Teachers Union bargained for smaller classes and more support staff in its 2012 strike. It has since fought to stop public school closures and favoritism toward charter schools. As it was 40 years ago, the labor movement is stirring, but in many ways it is not stuck, as it was, but sliding downhill despite its innovations. The words of Bob Dylan offer one bittersweet refrain for labor: “He not busy being born is busy dying.” Without rebirth, without a stronger labor movement, there will be little hope for socialism, let alone a more humane capitalism, over the next 40 years. 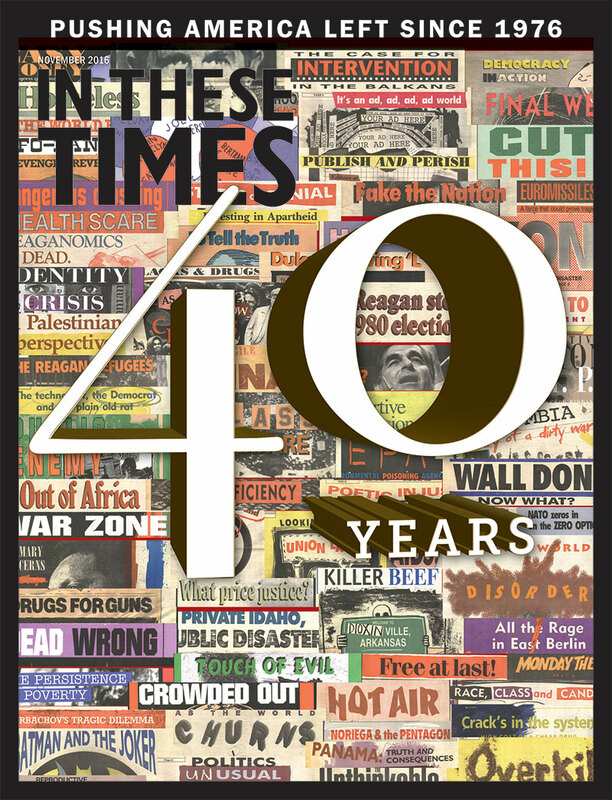 David Moberg, a senior editor of In These Times, has been on the staff of the magazine since it began publishing in 1976. Before joining In These Times, he completed his work for a Ph.D. in anthropology at the University of Chicago and worked for Newsweek. He has received fellowships from the John D. and Catherine T. MacArthur Foundation and the Nation Institute for research on the new global economy.